And, the right kind of attention. At tradeshows, custom USBs are often the main attraction because they stand out from other hum drum promotional products like branded hats, t-shirts, pens, or stress balls. See how companies like Hot Wheels and Miss America have used a little ingenuity to create custom shaped flash drives that uniquely represent their brands. Even when a user has no immediate need for a custom USB, or after they’ve filled it up with information, the USB will sit on a shelf, rest in a drawer, or travel with them in their bag or pocket. The user is likely to see it often throughout the course of the day, or week – reminding them of your brand. Practical, usable promotional products like custom flash drives are proven to get better results. According to L.J. Market Research, 71 percent of people surveyed reported receiving a promo product in the last year, of those people 33 percent actually happened to have the product with them – a remarkable finding, given that the people included in the survey had no idea they would be asked about promotional gifts. Want more people to remember your brand and know what you stand for? Custom USBs will get you there. When people are frequently exposed to your brand’s name, logo, and slogan, they will remember your brand; and, when it comes time to buy a product or service that you offer, you will stand out in their minds. Thinking about using a promotional product to get ahead of your competition? 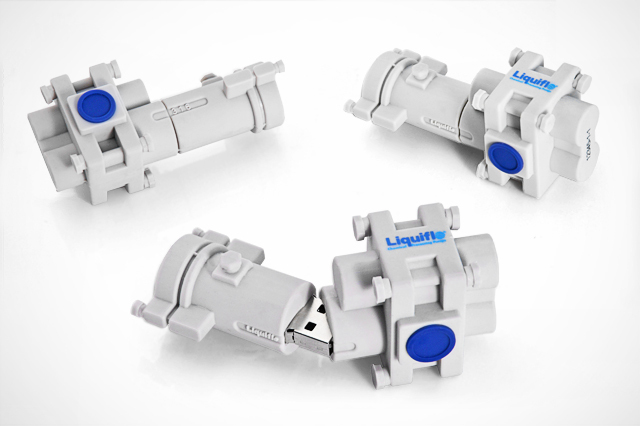 Consider how a custom USB can drive your efforts. Studies have shown that when people get a promotional product, they are more likely to give it away than to throw it away. [ii] So, after consumers have been exposed to your brand through thier promotional flash drive, they’ll likely give it away to a friend, family member, or co-worker, who will also be exposed to your brand. Now you know what the competition won’t tell you about custom USB flash drives. You can find out more about creating a USB with a unique shape or function by visiting CustomUSB.com or calling one of our friendly sales representatives. You can also learn more about what brands are doing with other customizeable products like custom earbuds and power banks. Please check website, tools section. Look at the nail-guns. Approximate set up cost for a small green nail-gun please. Wow blog and awesome custom USB flash drives. Great Post! Thanks for sharing the benefits of custom usb’s and how it get the customers attention.